Whether you are a veteran to Star Trek comics or have never picked up a single comic in your life, Eaglemoss’s new part work series “Star Trek: The Graphic Novel Collection” is for you. 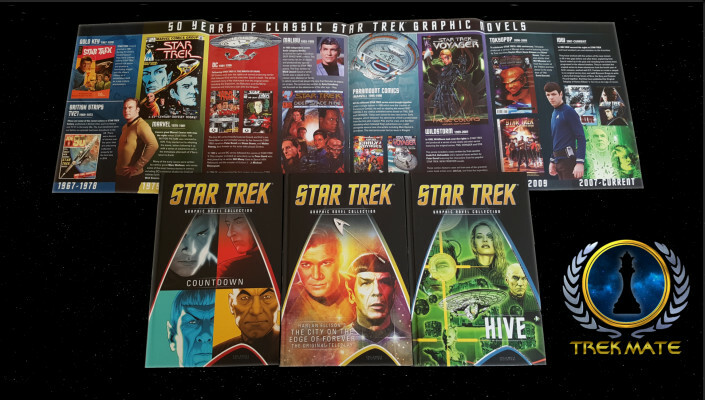 With 50 years of stories to choose from, we are being treated to some amazing stories and stunning art that any Trekkie can enjoy. We are going to be covering this collection and sharing our thoughts about each issue with you in our new YouTube series. If you would like to check out the official Eaglemoss website and maybe set up your own subscription then click HERE.